Amy Weinstein, StudentsLive President/CEO, was the featured guest on Andy Steinhauser's LA Talk Radio on Tuesday February 4, 2014.
and the energy and enthusiasm of the young people they inspired. StudentsLive's mission is to create highly effective, interactive and innovative workshops and new audience development programs in partnership with the best theater our country has to offer: Broadway. 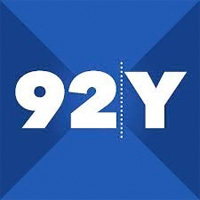 We enrich audiences' access to and understanding of live theatre; creating and inspiring newer, better and wider audiences and artists alike; connecting and providing deeply engaging, experiential visits to Broadway shows by offering the highest quality education programming and services. 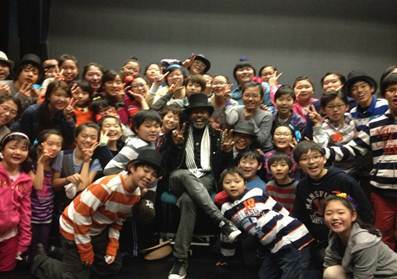 We began partnering with producers to develop future audiences of critical thinkers who would return time and again to seek out quality theatre, and instill appreciation and love for the arts at an early age. Since 2000, StudentsLive's curriculum-based programs have attracted over 200,000 new audiences from the widest range of cultural, ethnic and socioeconomic backgrounds. StudentsLive supports alternative learning, cross cultural and interdisciplinary opportunities for a wide range of new audiences and creating, developing, managing and implementing interactive Broadway Educational Workshops and Materials for support in classrooms worldwide. StudentsLive trains, hires, and organizes teams of Broadway artists and professionals to serve each audience's needs, and our programs enable a new generation of audiences to make the arts a permanent part of their lives in ways in which they can deeply explore its value, not just fill up a seat. Passport to Broadway students at their Final Performance. -Gelan Lambert, Broadway Actor, Fela! Learn about themes and issues found in Wicked led by StudentsLive Teaching Artists. Be a part of the “Which Witch” Game Show. Attend the 2:00pm Matinee Performance of Wicked with an Audience of Scouts from Across the Country! Opportunity to Fulfill Requirements for Scout Patches! Chance to win a backstage visit! Seats are First Come, First Serve and Available on a limited basis! Seats are going fast! BOOK NOW and don’t be disappointed! StudentsLive will work with you to create a Private Customized Broadway Workshop and Show exclusively for your group on any date of your choice 365 days a year. If you do not meet the required minimum of 20 or more for the StudentsLive MasterClass or the specific group minimum for the Broadway Show you want to see, please see the “Build-A-Group Events” listed below. The “Build-A-Group Events” allow you to take advantage of group discounts to Broadway Shows and our MasterClasses without meeting group minimums. We are excited to help provide your group with the best interactive, educational experience available on Broadway today. “Anastasia was fabulous!! I am still over whelmed by the costumes and scenery and I had to go out and purchase the soundtrack because I loved the actors’ voices so much! We also loved finding James (our cast member instructor) throughout the performance. He was great with the girls. We all learned so much and had a lot of fun in the workshop. 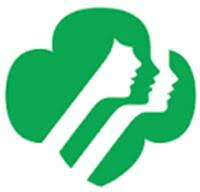 StudentsLive is excited to launch a new series of “Girl Scout Exclusive Badge Workshops”. 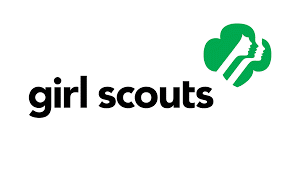 These Workshops will provide Girl Scouts at every age level an opportunity to fulfill certain Badge Requirements and allow them the chance to work with a Professional Teaching Artist and a Broadway Guest Artist. 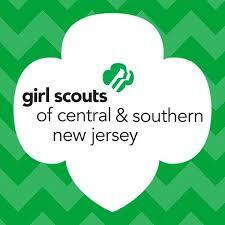 Please click below to view the flyers for each “Girl Scout Level Badge Workshop”. We can also provide these Workshops exclusively for your Troop, on the date of your choice, if you meet the required group minimum of 20 or more. Call or email with any questions or to reserve your group. "Thank you so much for all of your help in orchestrating our event on Saturday. It was AMAZING!! It was an exciting day for both our girls and their mothers. Scott was fantastic!! What a talented performer and teacher! He was patient...funny...kind...the best! Everyone loved Charlie too! We are definitely interested in booking another event in the future. Thanks again!" This program is Available Year Round on the Date of Your Choice with the Shows of Your Choice (pending availability). StudentsLive Award-Winning Broadway Education Programs invites you to experience the “Broadway Audition Process” first-hand and learn from Broadway Professionals what it takes to “book the part”. We hosted a Canadian Theater School for their Second Annual Broadway Audition Weekend this Spring, Click here for more information, pictures and program details. The most cutting edge, interactive and creative education opportunities that exist on Broadway today. Click here for the new menu of exciting choices for groups of all ages. You can choose any Broadway show and we will provide you with discount tickets, programs and services to make your trip a once in a lifetime experience. Click here to see the most current list of Broadway shows and their descriptions. 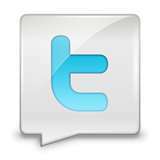 If you are not following us online, please click the links above. 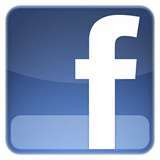 On Facebook, you can find our page as "StudentsLive Broadway Education Programs" in the search box. Add us to your page for the most up-to-date information from StudentsLive. You can also follow our tweets at Twitter.com with the username: StudentsLiveBEP. Exclusive for Girls Scouts of the USA from Students Live! Exclusive for Boy Scouts of the USA from Students Live!